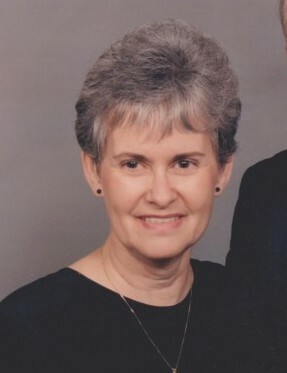 Sylacauga, AL - Funeral service for Emily Ann "Tootsie" Landers, 78, will be Sunday, August 19, 2018 at 3:00 p.m. in the Radney-Smith Chapel, with Rev. Max Buttram officiating. Burial will be in Evergreen Cemetery in Sylacauga, AL. Mrs. Landers passed away on Thursday, August 16, 2018 at Coosa Valley Medical Center. She was preceded in death by her husband, Tommie Landers and her parents, John and Verna Harris. She is survived by son, Charles (Kathy) Bailey; son, Frankie (Michele) Bailey; step-son, Greg Landers; daughter, Debbie Davis; son, Dallas (Tina) Acton; six grandchildren, Crystal, Emily, Shannon, Samantha, Scott, and Charlie; three great-granddaughters, Emma, Madison, and Olivia; brother, John T. (Elizabeth) Harris; and several, nieces and nephews. Visitation will be Sunday, August 19, 2018 from 1:00 p.m. until 3:00 p.m. at Radney-Smith Funeral Home. In lieu of flowers, donations may be made to the First Baptist of Oak Grove Memorial Fund.